The employment law practice of Mr. Kennelly is wide ranging. He has represented Plaintiffs in a wide variety of cases and his clients have been from all over the United States. As a matter of course, Mr. Kennelly deals with all of the following areas: Executive Contracts Executive Separation Agreements Age Discrimination Race Discrimination Gender Discrimination Sexual Orientation Discrimination Sexual Harassment Transgender Discrimination Unpaid Overtime Missed Meal & Rest Periods Retaliation Whistleblowing Breach of Contract On the management side Mr. Kennelly takes a business based approach to representing companies. His style seeks preventive employee solutions. His goal is to represent employers in an aggressive manner but to set a positive employee relations climate that minimizes litigation risk while insuring that employers do it right. The best way to avoid litigation is to prevent it from being filed. If you have any of these legal issues, feel free to contact our office. A free phone consultation can be easily arranged. Dennis Kennelly has been a practicing attorney in Silicon Valley since 1979 when he joined the Peninsula Times Tribune as its Labor Counsel. He left that Tribune Company property to open his own employment practice in 1985 in Menlo Park. Since then Mr. Kennelly has represented both companies and individuals in a wide variety of employment law matters from sexual harassment and retaliation to age discrimination and wage and hour matters. He has specialized in representing executives who are in transition along with his corporate clients. Since 2012 Mr. Kennelly has relocated his practice base to Beverly Hills, CA and added Woodland Hills as well as continuing to serve the Bay Area via his Menlo Park office. He has expanded his practice to include entertainment law. His emphases is on advising entertainers on contractual matters and drafting and reviewing entertainment contracts including recording contracts and live performance agreements. Most of Mr. Kennellyâs clients would prefer resolution to a protracted court trial and, as such, few of his cases go to trial. In fact, most of his matters are resolved without a court action being filed. Mr. Kennelly is known for helping both defense clients and individuals reach creative resolutions to complex problems. His engaging style is often credited with setting the tone necessary to allow all parties to work toward the common goal of resolution. Mr. Kennelly has mediated a number of court-appointed Arbitration cases at the Parties request and resolved almost all of them. He has acted as a Court-appointed arbitrator in Santa Clara County since 1999. Mr. Kennelly has handled a broad range of employment law and privacy issues from both the employer and employee perspective in both State and Federal Court. He has functioned as local counsel for a number of corporations around the country and has appeared pro hac vice in Washington, New Mexico, Colorado and Virginia. His experience includes both individual and collective representation. 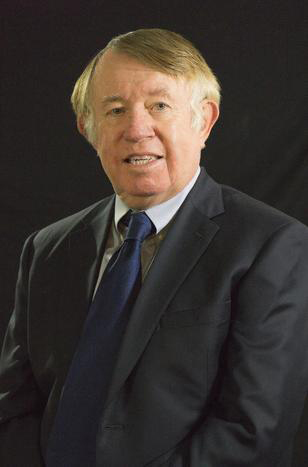 Mr. Kennelly is a graduate of the College of the Holy Cross (1970) and Duke Law School (1973). He has been admitted to practice in California, Hawaii and Iowa and was admitted to practice before the United States Supreme Court in 1995. He is a long-time member of both the National Employment Lawyers Association and the California Employment Lawyers Association. Prior to joining the Times Tribune, Mr. Kennelly worked as a labor attorney at the San Francisco Newspaper Agency, the agent for the San Francisco Chronicle and San Francisco Examiner from 1976 to 1979 where he negotiated with the 16 Unions representing the Newspapersâ employees. Before joining the Newspaper Agency, Mr. Kennelly served as an active duty Lieutenant in the United States Navyâs Judge Advocate General Corps. He tried over 200 Courts Martial as either a prosecutor or defense counsel. He finished his active duty as a Military Magistrate in Long Beach, California where he headed the Naval Legal Service Branch Office. While in law school, Mr. Kennelly was a law clerk with the National Labor Relations Board for two summers. Dennis L. Kennelly has been a practicing attorney in Silicon Valley since 1979 when he joined the Peninsula Times Tribune as its Labor Counsel. He left that Tribune Company property to open his own employment practice in 1985 in Menlo Park. Since then Mr. Kennelly has represented both companies and individuals in a wide variety of employment law matters from sexual harassment and retaliation to age discrimination and wage and hour matters. He has specialized in representing executives who are in transition along with his corporate clients. Since 2012 Mr. Kennelly has relocated his practice base to Beverly Hills, CA and added Woodland Hills as well as continuing to serve the Bay Area via his Menlo Park office. He has expanded his practice to include entertainment law. His emphases is on advising entertainers on contractual matters and drafting and reviewing entertainment contracts including recording contracts and live performance agreements. Most of Mr. Kennelly's clients would prefer resolution to a protracted court trial and, as such, few of his cases go to trial. In fact, most of his matters are resolved without a court action being filed. Mr. Kennelly is known for helping both defense clients and individuals reach creative resolutions to complex problems. His engaging style is often credited with setting the tone necessary to allow all parties to work toward the common goal of resolution. Mr. Kennelly has mediated a number of court-appointed Arbitration cases at the Parties request and resolved almost all of them. He has acted as a Court-appointed arbitrator in Santa Clara County since 1999. Mr. Kennelly has handled a broad range of employment law and privacy issues from both the employer and employee perspective in both State and Federal Court. He has functioned as local counsel for a number of corporations around the country and has appeared pro hac vice in Washington, New Mexico, Colorado and Virginia. His experience includes both individual and collective representation. Mr. Kennelly is a graduate of the College of the Holy Cross (1970) and Duke Law School (1973). He has been admitted to practice in California, Hawaii and Iowa and was admitted to practice before the United States Supreme Court in 1995. He is a long-time member of both the National Employment Lawyers Association and the California Employment Lawyers Association. Prior to joining the Times Tribune, Mr. Kennelly worked as a labor attorney at the San Francisco Newspaper Agency, the agent for the San Francisco Chronicle and San Francisco Examiner from 1976 to 1979 where he negotiated with the 16 Unions representing the Newspapers's employees. Before joining the Newspaper Agency, Mr. Kennelly served as an active duty Lieutenant in the United States Navy's Judge Advocate General Corps. He tried over 200 Courts Martial as either a prosecutor or defense counsel. He finished his active duty as a Military Magistrate in Long Beach, California where he headed the Naval Legal Service Branch Office. While in law school, Mr. Kennelly was a law clerk with the National Labor Relations Board for two summers.